Joliet Child Support Attorney | Johnson & Johnson, Ltd. Experienced Joliet child support attorney. Ending a relationship is difficult, especially when there are children involved. The wellbeing and happiness of the children is at the forefront, and decisions that are made must ultimately ensure that the children are properly cared for. One of the most important issues that couples face in a divorce proceeding or paternity proceeding is child support. Both parents must provide for their children while they are minors. Whether you are seeking to establish a new child support order or need changes or enforcement of a prior child support order, a Joliet child support attorney provides the help you need. The compassionate Joliet child support attorneys at Johnson & Johnson, Ltd. are experienced in assisting clients with all their child support and family law issues. Today, many parents opt for shared custody. Your Joliet child support attorney will discuss with you that shared custody simply means that both parents are legally responsible for making important decisions in a child’s life. One parent may have primary physical custody while the other provides child support. Child support is determined using legal guidelines, along with factors such as income and number of children. Child support is made part of a judgment or court order and is enforceable by law. A Joliet child support attorney can assist in reviewing your specific case to determine what child support needs to be paid. It is every child’s right to be properly cared for. In Illinois, child support payments are determined based on income, number of overnights, as well as the number of children that must be supported. Your Joliet child support attorney will explain that there is a income shares formula that is utilized to calculate the amount of child support that will be paid. Judges have little, if any, flexibility to make changes to this calculation. A resource for calculating child support is the Illinois Child Support Calculator. If the factors used in determining child support change, the court may order a modification. For example, if child custody changes substantially, the court may modify the amount of child support that must be paid. Generally, additional monetary needs of a child are handled separately, such as costs for activities, lessons, and educational needs. Talk to a Joliet child support attorney to assist in your child support legal needs. Child support is supposed to help your children with the important needs of life. When child support is not paid in a timely manner or when it goes unpaid, the children are being harmed. Failing to pay child support is a serious matter and should be reported to authorities. If you are a parent who has had trouble getting child support payments from your former spouse, you need to take action. 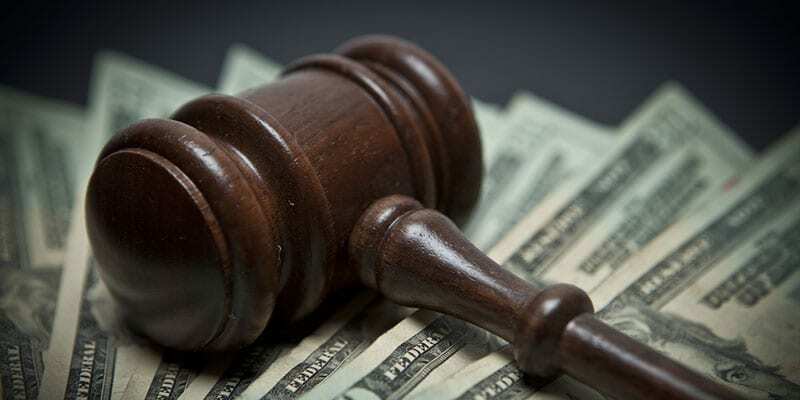 Talk to a reputable Joliet child support attorney as soon as possible to learn how to proceed. Your Joliet child support attorney will help you resolve the problem and get you the money that is owed. If you are supposed to make child support payments and are unable to do so you may need to find out if you are eligible to get a modification. Modifications are only made under specific circumstances, so check with a Joliet child support attorney to find out if you may meet the criteria. When you are unable to make payments you could get behind and end up owing a lot of money. Eventually, you may end up having your wages garnished and other penalties may apply. To keep this from occurring speak with a Joliet child support attorney, as it is best to take action as soon as you begin having trouble with payments. Child support is based on formulas that are designed to accommodate almost everyone’s situation. However, there may be times when one parent or the other wants to make changes. When a change is necessary, it must be made through the court system. A Joliet child support attorney will examine your needs, and, if you are eligible, will assist in submitting the necessary request. Modifications will require a court hearing where each party will be able to present their case. The judge will make a final determination as to whether to make any changes. Remember that you should not make any changes outside of the courts and contact your Joliet child support attorney if changes may be needed. Every child requires loving care and support from both parents. Child support is necessary to pay for your child’s clothing, food, and other expenses. Support will be determined and ordered as part of your divorce case. If you are not married, a separate child support order can be made through the courts. Whether you are seeking child support, do not agree with child support, or are in need of a modification, you will benefit from the guidance of a Joliet child support attorney. The experienced Joliet child support attorneys at Johnson & Johnson, Ltd have the expertise needed to represent you through the legal process. We are here to answer your questions and we work hard to get you the results you want. Contact Johnson & Johnson, Ltd. today to schedule a consultation with a Joliet child support attorney.